We are thrilled to announce the open sourcing release of WindowTester Pro, a solution that automates the process of GUI testing. 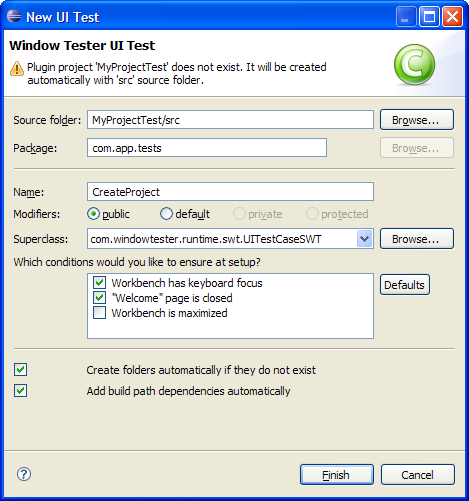 WindowTester Pro is shipped as a Eclipse plugin and has support for Eclipse versions 3.5, 3.6 and 3.7. WindowTester Pro was previously offered by Instantiations Inc. 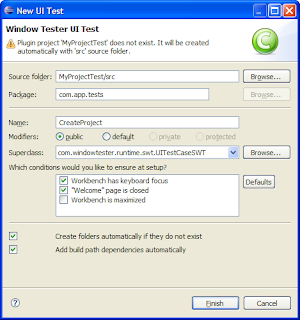 Using WindowTester Pro, developers can easily create tests for every GUI they create. The tests generated by WindowTester Pro are standard Java JUnit tests, thus they can be run within your Eclipse environment or they can be automated to run using Ant. Tests can be generated for SWT and Swing Java applications. 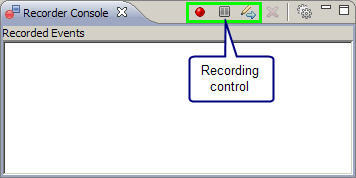 WindowTester Pro contains a recording console that captures and records keyboard clicks and mouse movements. The first step in test development is to turn on the Record feature and then work with various elements of the UI such as windows or buttons. WindowTester Pro will capture the steps taken. Once the GUI has been exercised, the developer closes the application under test. When the application is closed, the recording is terminated and the test is generated. Using WindowTester Pro empowers developers with testing capabilities and reduces the time required to hand-code tests. This enables developers to build quality into the product early in the process because problems are found and resolved earlier in the development cycle. 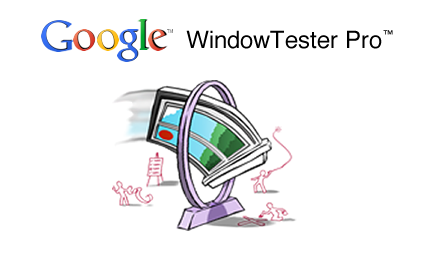 WindowTester Pro can help developers and companies drastically lower both testing time and cost. For more information, please visit the WindowTester Pro home page or join the discussion list. The Googlers who made this open sourcing release possible include Eric Clayberg, Keerti Parthasarathy, Mark Russell, and Seth Hollyman.